Electric gates and gate automation information. With a basic understanding of electrics Proforme automation kits are easy to install and come with full step by step instructions from start to finish. You are also supplied with a manufacturers technical support help line number and in conjunction with the instructions you can't go wrong. Just follow the instructions step by step and call the support help line for any extra advise you may need. A typical underground installation can cost you from £1750.00 up to and over £2500.00 + VAT, depending on your installer and the area in which you live. Ordering a kit online and fitting it yourself, or paying a qualified electrician (not a gate company) can save more than half of this cost leaving you more money to spend on your gates. Please feel free to Email us with an order enquiry and if requested we will advise you on the type of kit best suited for your needs. Buy Now with your Credit or Debit Card over the phone and you could have your kit as early as the next day. CALL 0844 3570211. Automation of an entrance driveway or automated security gates are becoming more common practice today. People find life is running at such a fast pace and everyday things are required to be made as easy and pleasurable as possible. Why spend a small fortune on gates to your property to come home in the dark or the rain and have to get out of the car and shut your gates or garage door. All of this and then you will have to repeat the process again early morning in the freezing cold on your way out. 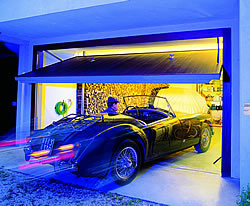 By Automating your Gates and Garage door, you will only need only push one button from inside your vehicle. This will allow you the comfort of being in your car and still be able to leave your property secure. 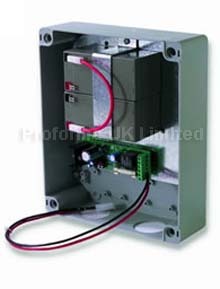 Every customers first question when thinking about residential electric gates is, " WHAT IF THERE IS A POWER CUT? ". Well all of our remote control gates have a built in key release system that will unlock your electronic gates off the motor which holds them fast enabling you to just push them open by hand allowing you to gain entry to your property if the power should fail for any reason. Alternatively, if you just don't want to have to get out of your vehicle at your gates no matter whether the power is off or not, then you can have a backup battery installed. This will run your gates until the power is re-instated where the batteries will then recharge themselves ready for the next time they are needed. Choose a GSM satellite intercom and this will give you the privilege of being able to screen your visitor from anywhere at any time from your mobile phone. When pushing the button on the sender unit outside your home your mobile phone will ring, you can answer it when your shopping, on holiday in the UK or abroad and from the push of a button you can allow the caller access to your properly. With simple to fit instructions and low call plans for gsm intercoms, this unit really is the way forward to the future. Never miss a delivery or an important caller ever again. A loop system is a coil of cable which is laid under the entry to your gates to detect the approach of oncoming vehicles. Used in conjunction with your control panel this can be set to open your gates on approach of vehicles. 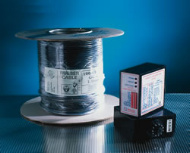 This can be set on a timer so that the loop would only be powered for set time periods, this for instance would allow your postman or delivery driver's access to your property without you having to control the gates. The remainder of the time the gates will remain locked for your control and subsequent security. We are working with the Automation manufacturers all of the time, bringing the technology forward in order to make your life as easy as possible. When your gates are installed there is always the question of how people are going to get in without a gate remote control. There are a few ways around this problem. Some people have a separate pedestrian entry gate installed that is not automated to allow people to come and go as they please. Some of the systems that we supply have a pedestrian entry element which can be inputted into the control panel on setup. This can be linked to a digital numbered keypad (if you only want people with the set pin number to be able to gain access) or just a simple push button, so that when the button is pushed the gates will open wide enough to get one person with a dust bin or wheel barrow through without the need for a remote. You can also incorporate a timer into the push button device so as to only allow its use between certain times in the day.